I’ve just made a substantial investment in AvSoft Australia Pty Ltd, the company behind AvPlan (http://www.avplan.com.au). AvPlan is a brilliant tool for pilots to allow an iPad to replace a mountain of paper books, paper maps, and paper charts. 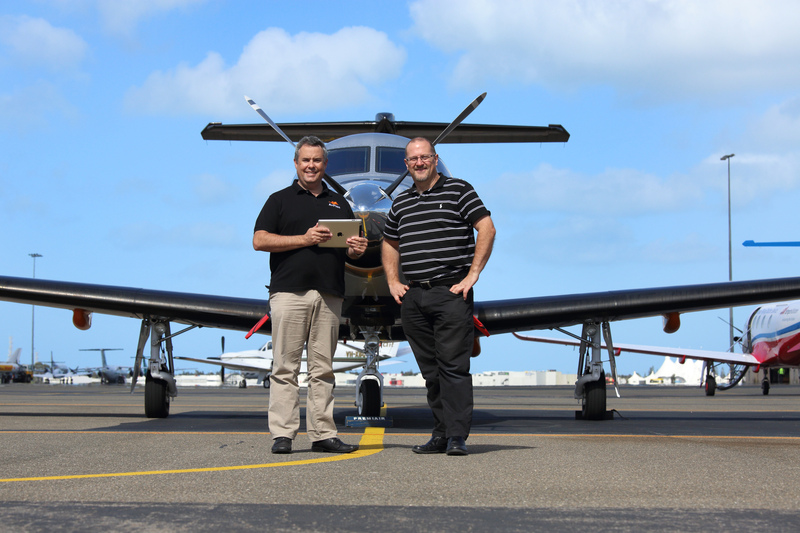 It is certified by CASA as an Electronic Flight Bag (EFB) for pilots in Australia. It also works across the USA, supporting the full gamut of maps and data required for operations in that country. AvPlan is far more than just an electronic map. It brilliantly automates the substantial workload involved in properly planning a flight (especially an Instrument Flight Rules – IFR flight) from start to finish. It fits the needs of a busy IFR pilot in the modern world like a glove. I was a convert to using AvPlan from the day I first saw it. AvPlan eats those old Windows based IFR flight planners (that I used to use) for lunch. You can hold it in your hands, plan a complex IFR flight in minutes, step into the cockpit with the same tool, and fly that plan. Importantly, this is not just a moving map with a GPS location shown on it. 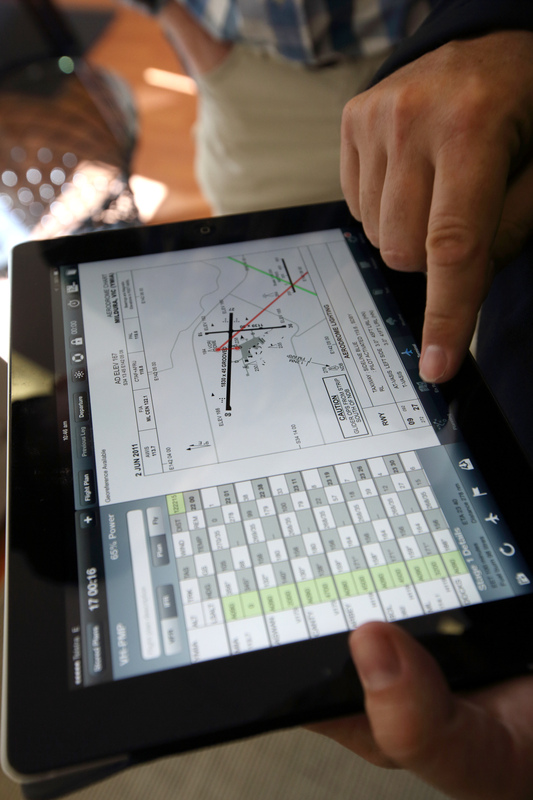 The core of AvPlan and its data models is your IFR (or VFR) flight plan. Everything else it does, including the in-flight moving map functionality, is built around that plan, rather than the plan merely being bolted onto the side of a map. Like all tools doing a job as sophisticated as this one, some investment of time is needed in getting set up with it. This is especially true in terms of taking the time to enter (once only of course) the detailed performance specifications and weight & balance data for your aircraft, to get the most benefit out of using it. That said, an increasing number of detailed aircraft specification data files are now online on the AvPlan site, contributed by other AvPlan users. You can download and work with those files to save you much of the time and effort otherwise needed if you were starting from scratch. The reward for this effort (especially for a high performance turbine aircraft like mine, where fuel burn changes radically with altitude) is that AvPlan can show you the best altitude to fly in order to optimise for time or fuel burn, by integrating aircraft performance with the detailed wind data at all flight levels across your route. The money (in terms of saved fuel) that this can save for a single flight, by choosing the best flight level, is typically well in excess of the annual cost for a full AvPlan subscription. It also features advanced capabilities in terms of automatic determination of optimal IFR airway routing for your intended flight. If you want to modify the flight routing once initially chosen, you can edit waypoints on the flight plan window, or you can change the routing with simple drag-and-drop gestures right on the map. After each routing change, all the related information about your flight (weight and balance, flight leg durations and fuel burn adjusted for en-route winds at your chosen flight level, impact on fuel reserves, etc etc) are dynamically re-calculated. When ready, you can file your flight plan online with a couple of taps on the screen. Then you can create a PDF document package containing all of the necessary paperwork for your flight. That document can be printed, emailed, or forwarded into a PDF viewer app such as “Goodreader”. AvPlan integrates a huge number of features and functions into one app that used to need a fistful of different apps to manage. And it has lots of other features, like Dropbox and Airdrop support. I’m really enjoying working with Bevan Anderson (the founder of AvPlan) on a heap of bright ideas that will make this great tool even greater over the coming years. Those interested can click here to read the formal press release announcing the investment – it contains some further details about the deal that we’ve struck, and about AvPlan in general. This entry was posted in aviation, AvPlan, IOS and tagged airservices, avplan, avsoft, EFB, electronic flight bag, flight planning, GPS navigation, IFR, IOS by simonhackett. Bookmark the permalink.